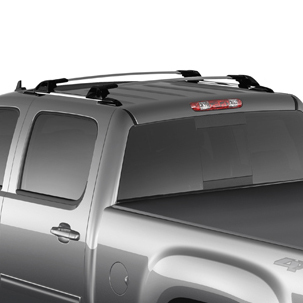 Add style and carrying capacity to the roof of your Sierra Crew Cab with a set of Roof Rack Side Rails. Cargo and load capacity limited by weight and distribution. Secure loose items before driving.